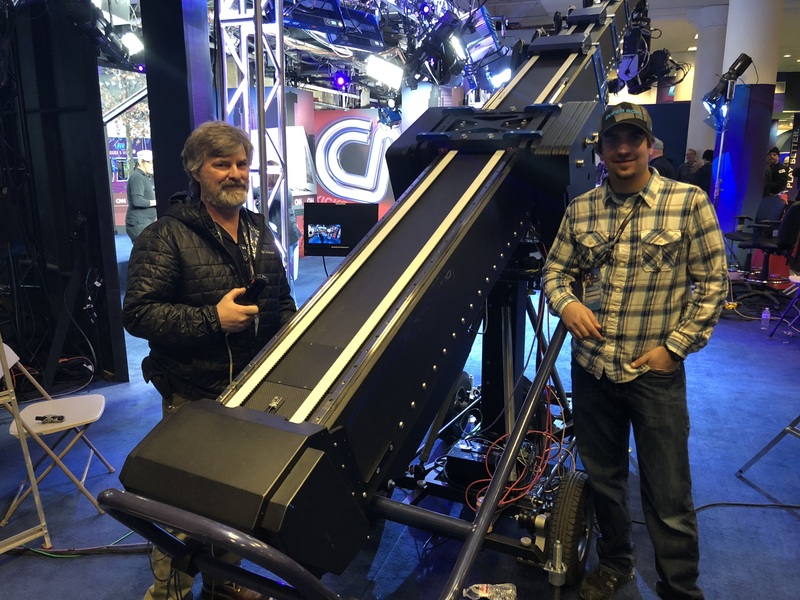 “Kickoff in Minnesota: A CNN-Bleacher Report Special” benefited handsomely as Egripment’s encoded T10 Telescoping Camera Crane and AR tracking interface, along with the 306 Encoded Remote Head, worked in unison with CNN’s graphic engine, running the latest VIZRT Virtual Studio Software to impress Super Bowl fans around the country. 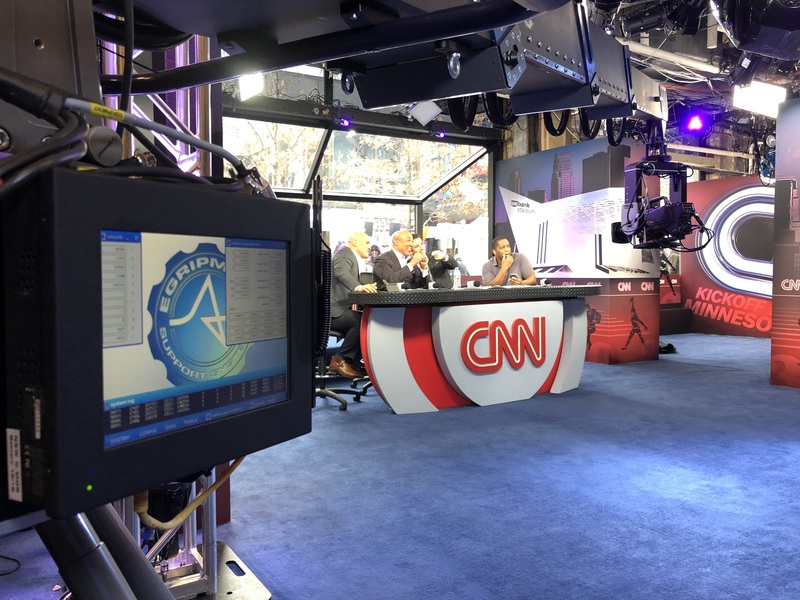 The CNN special was a half-hour show hosted by CNN’s Dave Briggs as well as Super Bowl Champion and HLN Contributor Hines Ward, NFL veteran & CNN Sports Correspondent Coy Wire and Mike Freeman, Bleacher Report’s Lead NFL Writer. 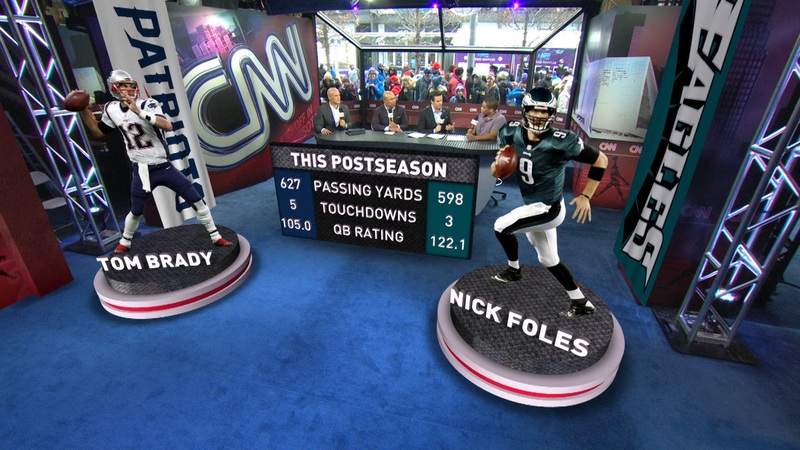 Their on-set reporting was significantly enhanced with AR versions of team helmets, flags, logos and statistics. Impressive AR was also used to create 3D player images, set walls and snowflakes falling on the set. Picture Factory, home to Egripment USA, and Martin Dreesbach, Egripment AR expert and Director of Operations at Egripment Germany worked hand-in-hand with CNN designers and technicians to prepare, test and deliver the AR images via fiber optic from the set in Minneapolis to the CNN control room in Atlanta. The temporary set in Minneapolis was positioned inside Super Bowl LIVE, the official fan festival in Minneapolis, where space was limited. The Xtreme T10’s minimal footprint fit perfectly into the space and the telescoping arm provided maximum flexibility and optimal coverage. 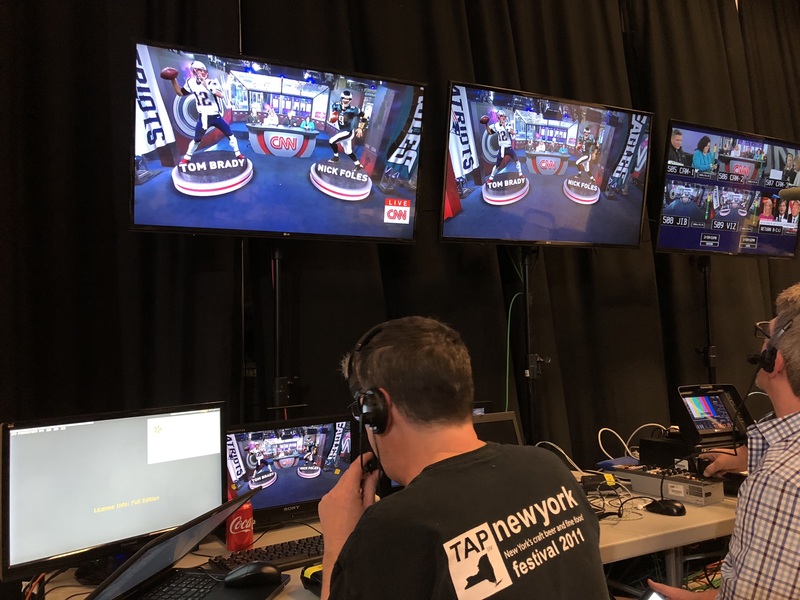 Thanks to high accuracy and precision of the Xtreme T10, the most precise and reliable tracking data was delivered to the VIZRT Tracking Hub, allowing highly accurate positioning of CNN’s graphics in this tight set. With Super Bowl LII, Augmented Reality (AR) was incorporated into and enhanced the entire production like never before. When purchasing tickets, buyers were able to see an AR version of the stadium to help them make their seat selections. 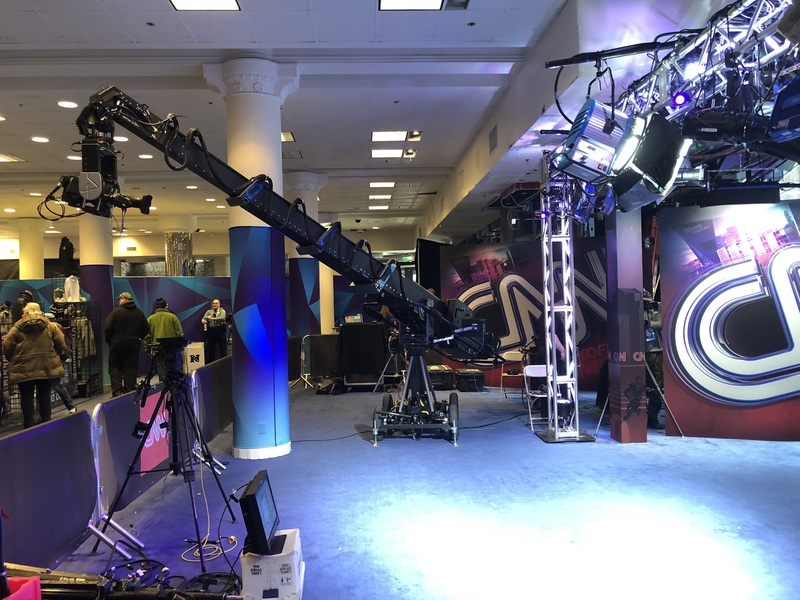 When inside the U.S. Bank Stadium, fans were able to play AR based games, and then CNN used Egripment’s cutting edge AR system to enhance its production from Super Bowl LIVE. This advances the way sports production will be expected by fans for the future.